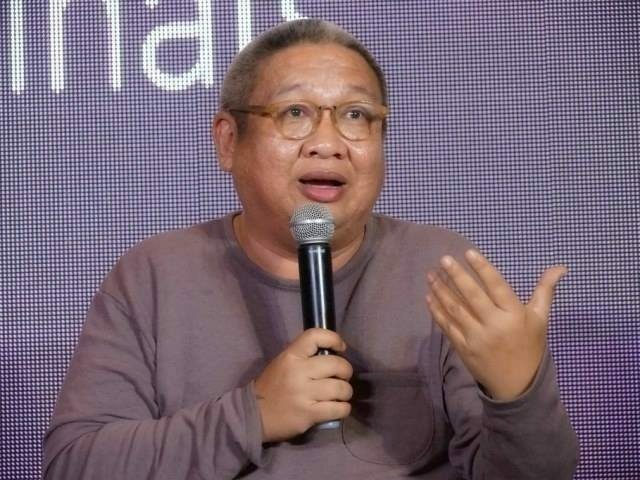 Director Erik Matti lamented the “dire situation” of the Philippine film industry as he cited the continuous decline of people watching local films compared to those being produced by international studios. In a Facebook post, the director said that the “government should intervene” as the film industry is currently on “life support” status. The director is also a co-founder of film production company Reality Entertainment, which recently released “Tol,” a comedy that features three men who vie for the attention of their crush. Meanwhile, Regal Entertainment, Inc. released “Elise” which is a romantic comedy that tells the story of childhood sweethearts who meet again after being apart for years. Viva Films similarly released a couple-oriented film titled “Hanggang Kailan” that tells the story of a couple who plan how on they would break up. Matti additionally claimed that the Metro Manila Film Festival is no longer earning as much. But he did not mention that the MMFF 2018, however, exceeded 2017’s box office gross and its P1-billion target sales. However, Matti acknowledged that there are film festivals which give the local filmmakers an opportunity to feature their works, as well as their interactions with foreign film festivals where Filipinos films are presented. Despite such platforms, he claimed these are not enough to enliven the local film industry as a whole. Several Filipinos in the comments section were quick to point out their reasons as to why they do not watch as many local films as before. Jeff Morales claimed that the MMFF’s days of glory were from the late ’90s to the 2000’s. Acclaimed films such as “José Rizal,” “Muro-Ami,” “Esperanza: The Movie,” “Tanging Yaman,” “Yamashita: The Tiger’s Treasure,” “Mano Po,” “Dekada ’70,” “Crying Ladies” and “Aishite Imasu 1941: Mahal Kita” were shown during the period. Morales claimed that “too much commercialism and backdoor politics” led to the decline of the local film industry. He observed that among the factors contributing to the industry’s struggles are the rise of video streaming services such as Netflix and iWant, the release of film reviews on the internet in advance, film plots that tend to be “predictable” and how trailers are not given that much airtime on television. Other Facebook users commented that they would rather stream or download a film and watch it in the comforts of their homes without the hassle of traffic and extra expense on food and tickets. Hator Amed attributed it to traffic and the increase in costs due to higher tax implemented through the government’s policies. “Traffic at taas ng bilihin… kesa matrapik papunta sa mall at pipila sa napakahabang parking slot na ubod ng mahal ang fee… isama mo pa ang basic food needs ng pamilya na priority ngayon ng Pinoy dahil sa sobrang mahal ng mga bilihin dahil sa tax na mas mataas pa ang singil kesa sa bayad mo sa OT sa trabaho,” he wrote.